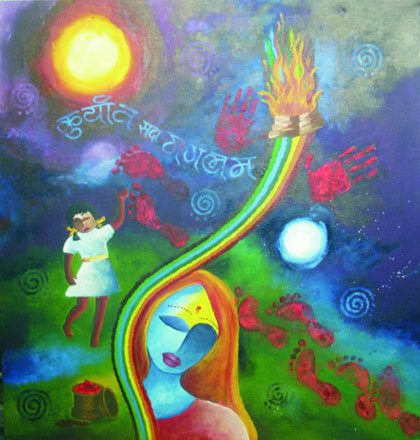 Today through this post I am celebrating three things – womanhood, Holi (festival of colours -just around the corner), art and lighted colours! 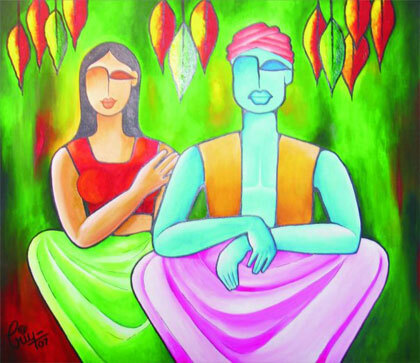 Ahmedabad based artist Priya Anand Pariyani’s art speak simple earthy emotions perhaps but with electrifying colours! 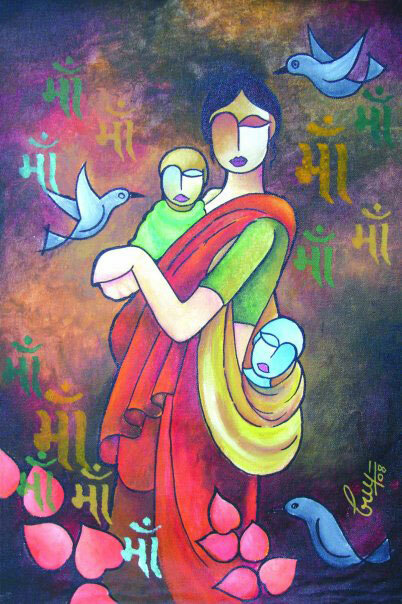 Her favourite subject is woman! 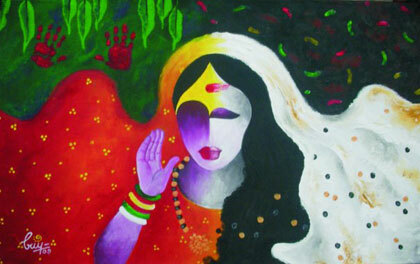 And today she is celebrating Women’s day at Ahmedabad’s Karnavati Art Gallery! 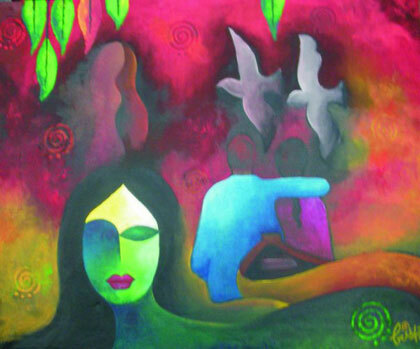 Her bold colours and hues speak vibrancy and dynamism of a woman. 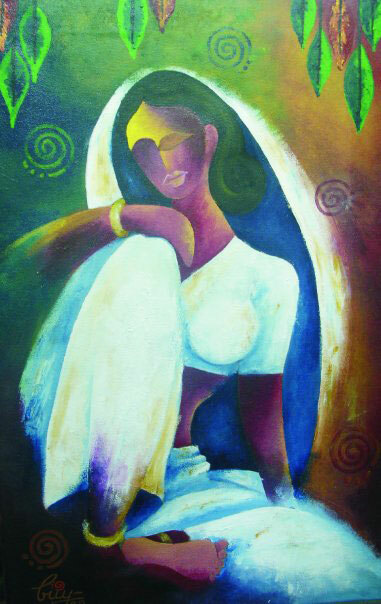 A glimpse into many moods and state of womanhood via Priya’s artworks. 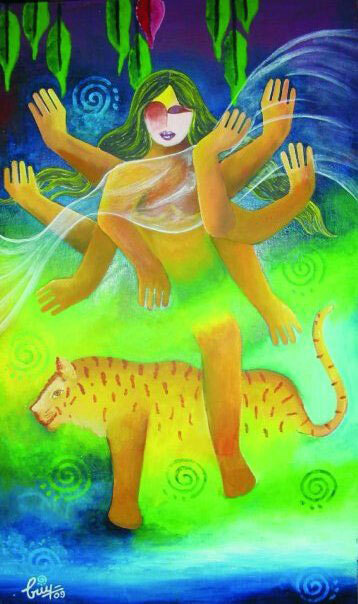 Check more of her electrifying work here and here. Previous PostSmile Inspiring Junk ArtNext PostWill be back Soon! Cute photos : ) I pacrurilatly like the shot of the little one relaxing amidst the green tall grass and yellow flowers makes you want to be transported there to breathe the fresh spring air! 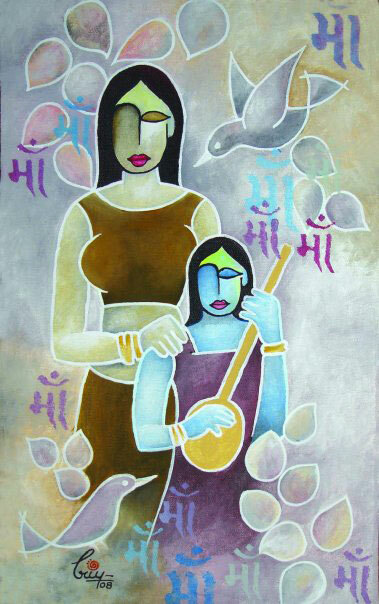 These Indian arts have a serene, almost spiritual feeling. It would work both on a white wall and a dark blue wall.